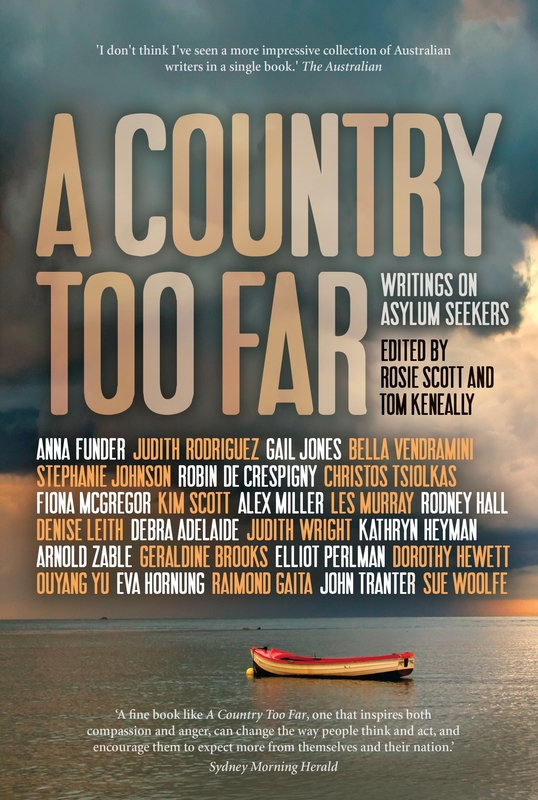 One of Bella’s adventures has been included in the much anticipated anthology A Country Too Far edited by Rosie Scott and Thomas Keneally coming out in 2014 with Anna Funder, Geraldine Brooks, Les Murray, Rodney Hall and Christos Tsiolkas. In The Indiana Jones Story, Bella recounts her adventures at 17 years old when she aided two political refugees in Spain. The book is scheduled to be launched in October 2013. “One of the central moral issues of our time is the question of asylum seekers, arguably the most controversial subject in Australia today. In this landmark anthology, twenty-seven of Australia’s finest writers have focused their intelligence and creativity on the theme of the dispossessed, bringing a whole new perspective of depth and truthfulness to what has become a fraught, distorted war of words. This anthology confirms that the experience of seeking asylum – the journeys of escape from death, starvation, poverty or terror to an imagined paradise – is part of the Australian mindset and deeply embedded in our culture and personal histories. A Country Too Far is a tour de force of stunning fiction, memoir, poetry and essays. Edited by award-winning writers Rosie Scott and Thomas Keneally, and featuring contributors including Anna Funder, Christos Tsiolkas, Elliot Perlman, Gail Jones, Raimond Gaita, Les Murray, Rodney Hall and Geraldine Brooks, this rich anthology is by turns thoughtful, fierce, evocative, lyrical and moving, and always extraordinarily powerful.